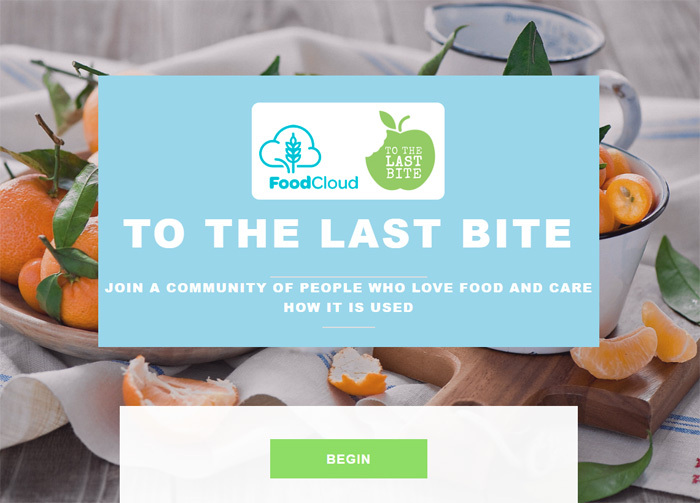 FoodCloud – an amazing social enterprise that has cracked the challenge of food waste. They use digital technology to gather unwanted food from supermarkets and suppliers, and also use tech to connect it to charities who need it. The organisation is just a few years old and has already donated over one million meals. Charity Hack – a brilliant initiative by fundraisers Kevin Delaney and Eimear Clowry-Delaney. It’s a day where volunteers with expertise help small charities to devise a campaign. Hugely, highly recommended both to small organisations and to people in the sector who want to learn more about campaigns. Sign up to their mailing list today and you’ll get notified about the next hack day. So anyway, at Charity Hack in September 2015, I was part of a group that ‘hacked’ FoodCloud for the day and developed a concept for a supporter acquisition campaign. The ‘To the Last Bite’ campaign asked people who ‘love food and care how it is used’ to subscribe to a series of emails that shared advice on how to cut down on food waste. I volunteered to build the landing page for this campaign, to present a clean and attractive experience for the user.